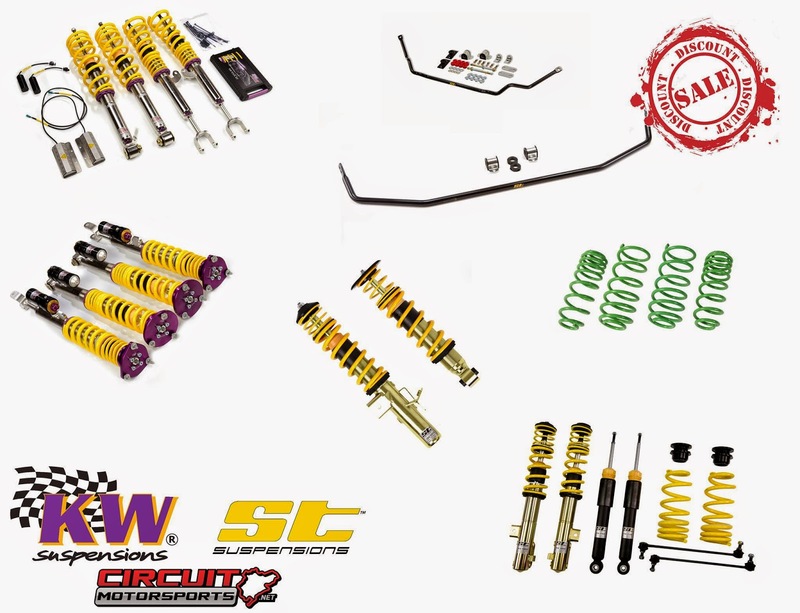 We are having a HUGE sale for the Month of June 2014 on Both KW Suspensions and ST Suspensions! This includes KW coilovers of any variant, ST Coilovers, and ST swaybars and suspension components! The savings are serious, you can be saving over $500 on most of the coilvoer kits and up to $1,000 on some of the more complete kits! Contact us ASAP if you are interested in a kit and would like one of our suspension specialists to go over your options and make sure you get the right setup for you. We can combine kits, get you camber plates, mounts, links, swaybars, etc. We have it all! Deal ends THIS MONTH, so hurry up, you want coilovers we got 'em! Use the Coupon codes below to SAVE!